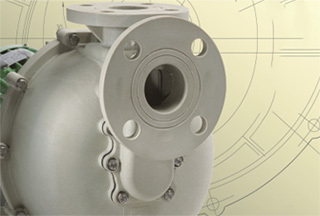 is an industrial pump trading company. Our companies are located in Selangor, Johor Bahru (JB), Malaysia and Singapore. We supply a wide range of high quality pumps such as magnetic pump, vertical pump, self-priming pump, ring blower, coolant pump, etc. If you have any questions or need more information, please contact us. We will be pleased to answer any enquiries you have. Based on our extensive experience combined with theoretical basis, we will provide you the innovative and dependable pumps to meet your specific applications. We focus on trading for pumps and accessories which are high standard, high performance and high quality for the purpose of satisfying customer needs and trustable. Cosmic customer service is your expert source for technical information and product consultant. If you are inquiring about a specific product, contact us here.